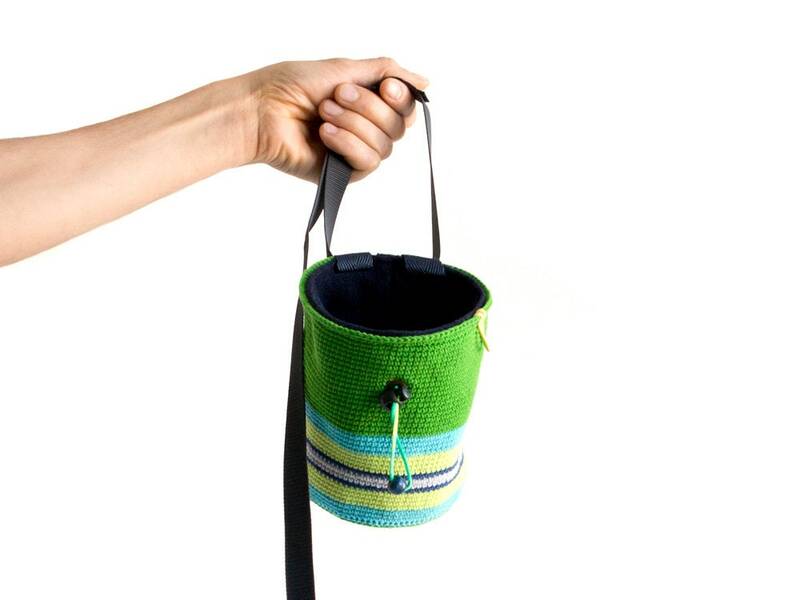 Crochet chalk bag - handmade and unique trad chalk bag for climbers. 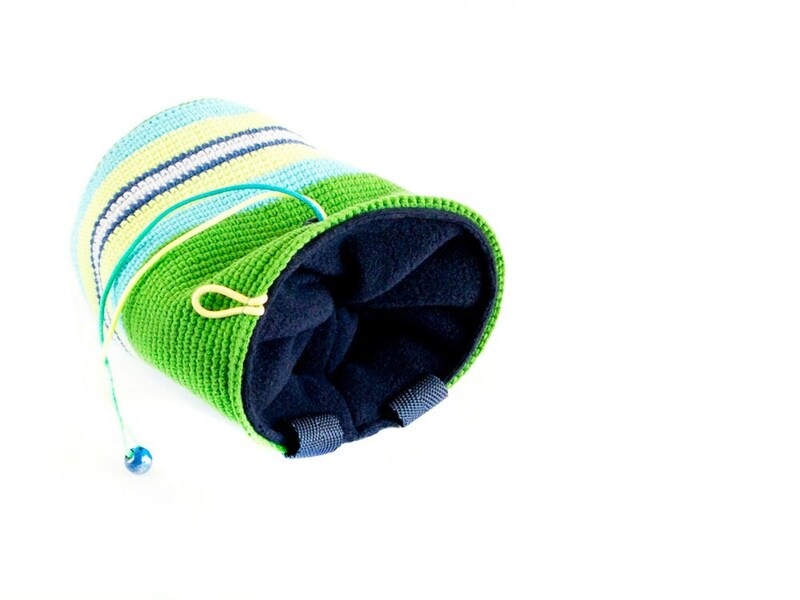 It is one of our best climbers gift Idea - chalkbag in L size. 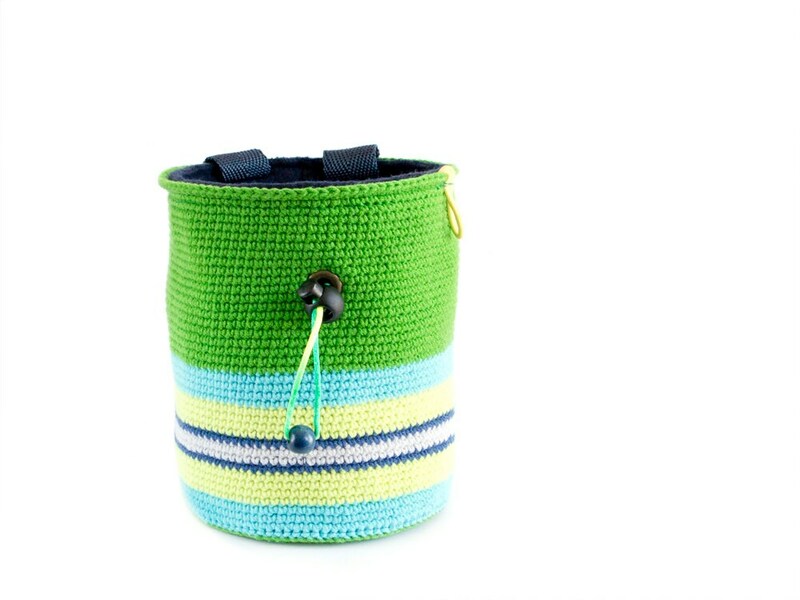 We created it as crochet cylinder pouch in green, turquoise blue, neon green and grey. 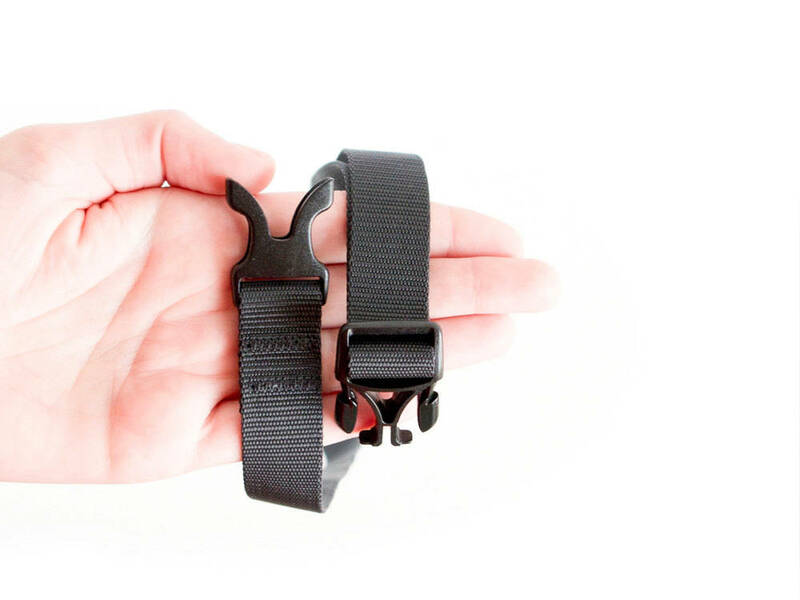 The chalk bag is designed large enough for easy use. 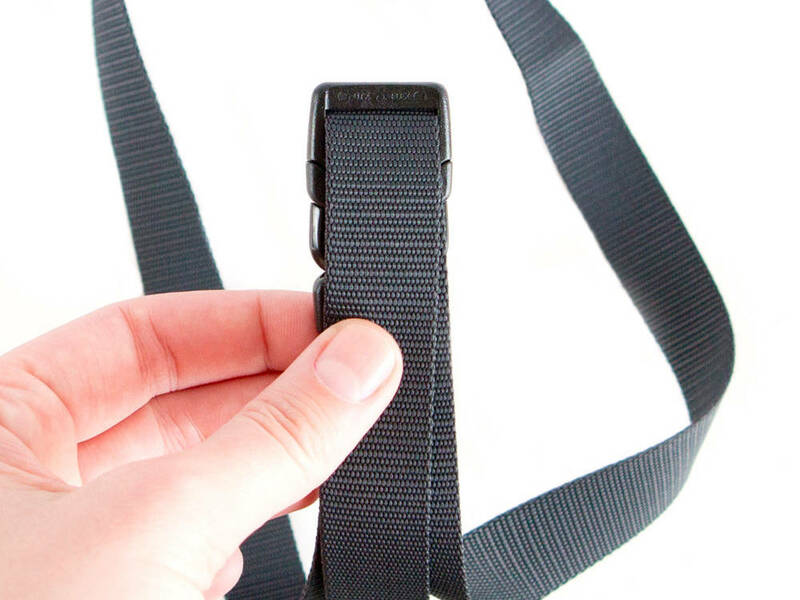 The upper rib is with hidden tiny steel rope in it, that keeps the chalkbag wide opened when you climb. The inner is dark blue fleece, and between these two layers there is a waterproof membrane, that keeps the chalk inside. 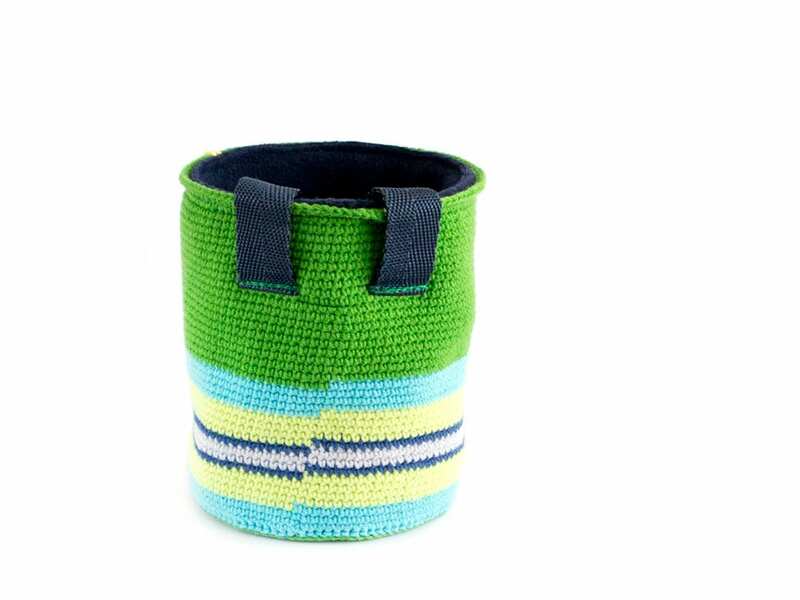 Every traditional or sport climber, who likes handmade items and fair trade chalk bags will love it! 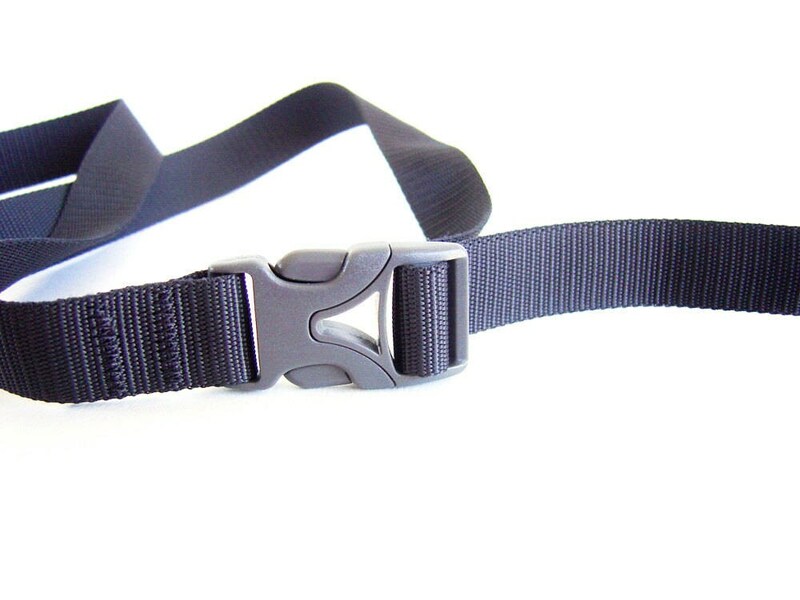 L size, 15 cm height (5 15/16"), 12 cm (4 3/4") diameter. 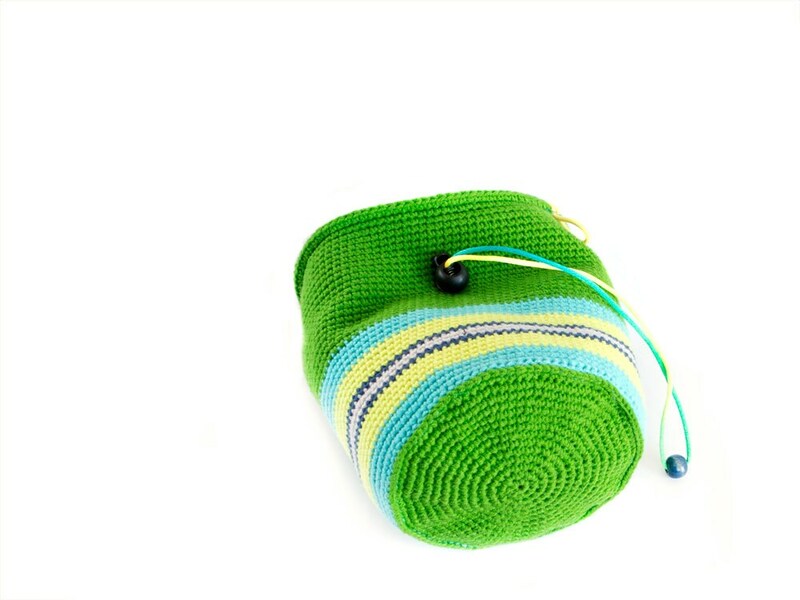 This green crochet chalk bag weights 86 grams (3.03 oz). 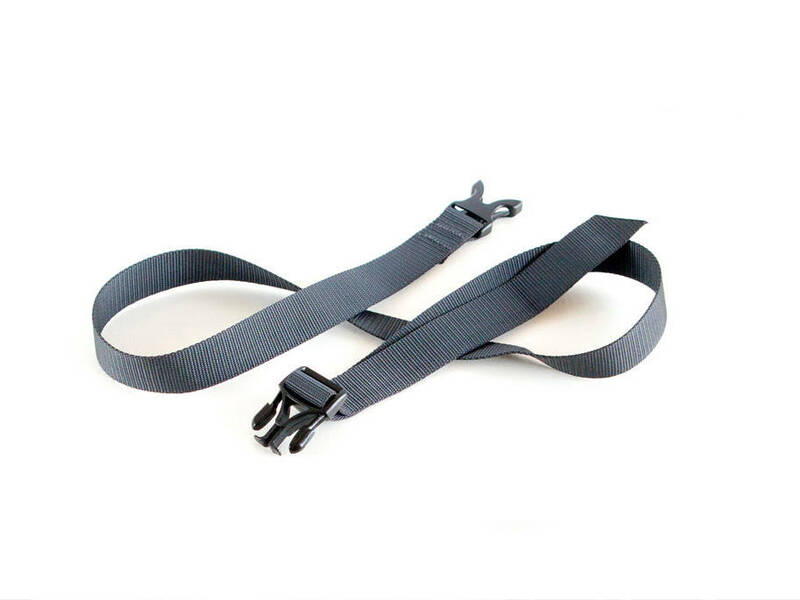 With one big and elastic brush holder, and 2 attaching loops in dark blue. 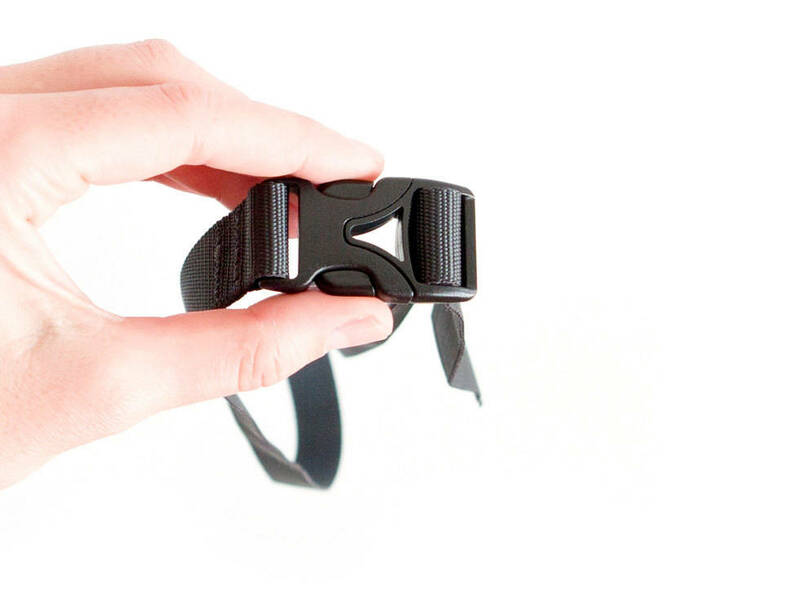 Unique, stylish, funky and useful.